When you begin the process of buying your first house, all you want to do is start looking for your dream home. However, there is a lot that you need to before you begin your property search. 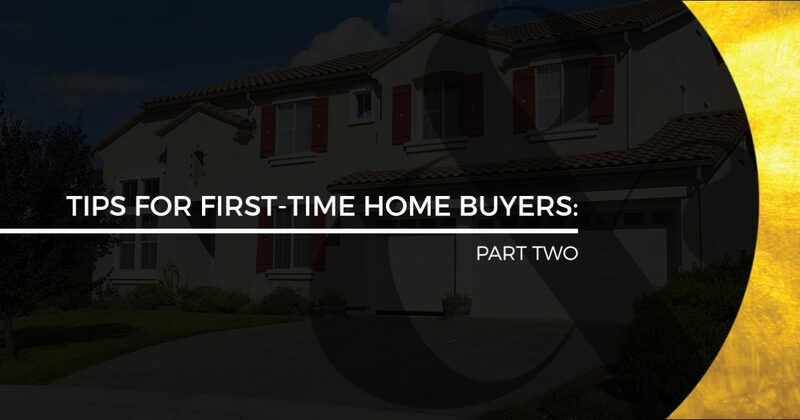 In part one of this series, we discussed a few tips that you need to consider as a first-time homebuyer. As we continue into part two, we will give you a few more tips that will help you make your home-buying experience a little more enjoyable. If you are looking for properties in Granada Hills, Homes & Loans can help! We take real estate and loans to a whole new level and offer a variety of services that are designed to meet your needs. Whether you are looking to buy your first home, selling your current house, or you are interested in our mortgage loans, you can rest assured that you will receive dedicated service from one of the friendly members of our team. Browse our website to learn more, and be sure to contact Homes & Loans in Granada Hills to get started today! We all want those giant houses with a pool in the backyard and a chandelier in the entryway, but that isn’t always the most realistic option. Before you start searching for a home and falling in love with some of the beautiful houses on the market, it’s important to figure out how much of a home you can actually afford. The last thing you want to do is start searching for a house, find one that you love, and find out that you can’t actually afford it. Once that happens, none of the houses that you find will ever compare to the house that got away. One easy way to figure out how much house you can afford is to use a home affordability calculator. Luckily, when you work with Homes & Loans, not only will you have access to our prequalification calculator, but our friendly and knowledgeable professionals will be able to work with you to come up with a mortgage loan that you can afford. If you are interested in learning more about our services for first-time home buyers, then be sure to contact Homes & Loans in Granada Hills today! When applying for a loan, your credit is one of the key factors that will help to determine whether or not you are approved for the loan. With that in mind, it’s important that you manage your credit before you apply for a mortgage loan. Check your credit score to see if there are any errors that you need to dispute. When you’re applying for a loan, you don’t want to have any problems weighing down your score. You will also want to do everything that you can to try and improve your score. If you have any debt, it might be in your best interest to try and pay some of it off. Get Expert Advice and Services From Homes & Loans! Before you start your property search in Granada Hills, let the experts at Homes & Loans give you a hand! We have years of experience in the industry and we offer a variety of services that can help you find your dream home. If you are interested in learning more or you would like to schedule a meeting, be sure to visit Homes & Loans today! We look forward to seeing you soon.